Fashion designer Olivier Rousteing, center, Kim Kardashian, left, and her sister Kendall Jenner pose prior to attend the Vogue party, in Paris. 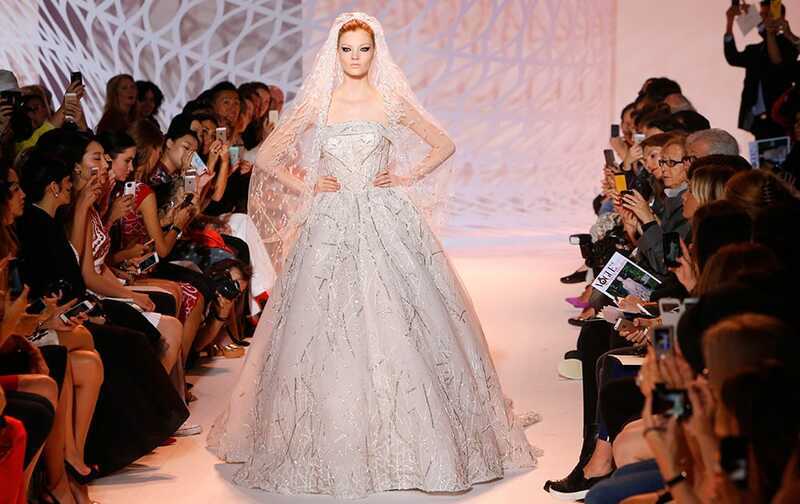 A model wears the wedding gown for Lebanese fashion designer Zuhair Murad's fall-winter 2014-2015 Haute Couture fashion colllection in Paris. 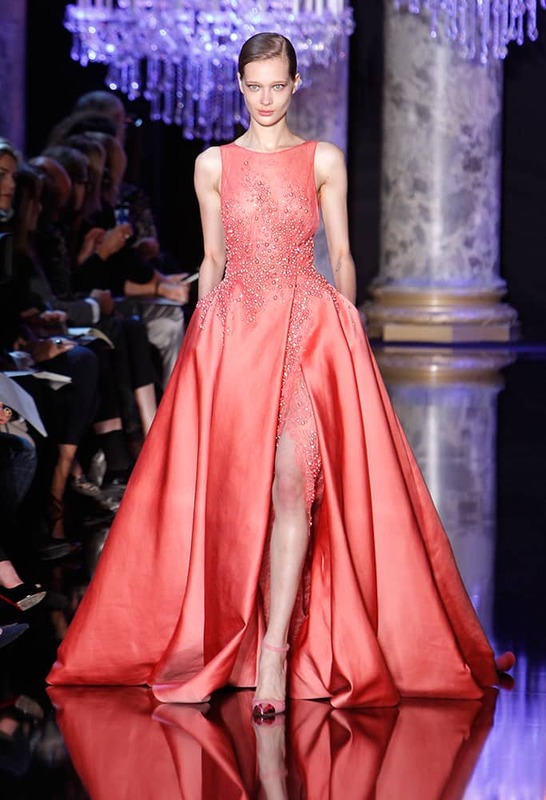 A model presents a creation for Zuhair Murad's fall-winter 2014-2015 Haute Couture fashion colllection in Paris. A model wears a creation for Lebanese fashion designer Elie Saab's fall-winter 2014-2015 Haute Couture fashion collection in Paris, France. Actress Kate Winslet poses during a photocall for the Lancome Nouvelle Vague party during the Haute Couture fashion week in Paris, France. Actress Charlize Theron poses for photographers as she attends Dior's Fall-Winter 2014-2015 Haute Couture fashion collection, in Paris. French actress Marion Cotillard poses for photographers as she attends Dior's Fall-Winter 2014-2015 Haute Couture fashion collection, in Paris. Spanish model Nieves Alvarez poses with creation on mannequins as part of Stephane Rolland's fall-winter 2014-2015 Haute Couture fashion collection in Paris. Polish model Anja Rubik poses prior to attending the Vogue party, in Paris. French lingerie designer Zahia Dehar arrives for the Atelier Versace Fall Winter 2014-15 Haute Couture fashion collection. Singer Jennifer Lopez waves as she arrives for the Atelier Versace Fall Winter 2014-15 Haute Couture fashion collection, presented in Paris. Kendall Jenner poses as she arrives to attend the Vogue party, in Paris. 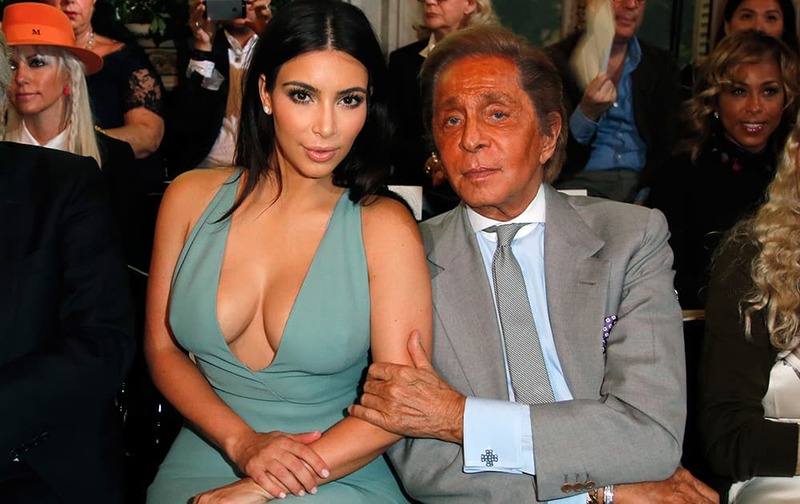 Kim Kardashian and fashion designer Valentino pose for photographers prior to the presentation of the Valentino Fall Winter 2014-15 Haute Couture fashion collection designed by Italian creative directors Maria Grazia Chiuri and Pier Paolo Piccioli, in Paris. A model wears a creation for Serkan Cura's fall-winter 2014-2015 Haute Couture fashion collection presented in Paris. Actress Emma Watson poses prior to attending the Vogue party, in Paris. A model wears a creation by French designer Fred Sathal, as part of her Fall Winter 2014-15 Haute Couture fashion collection. A model presents a creation for Zuhair Murad's fall-winter 2014-2015 Haute Couture fashion colllection in Paris, France.